I was really lucky to be given this by a friend when her children got a bit older. It is an excellent steamer and blender easy to use and can steam and blend using one product. Easy to clean and comes with helpful recipients guide for first foods. I have found it really useful and takes the stress out of preparing first foods. When blending food it is easy to get the perfect consistency depending on babies age. I would really recommend this to parents, the price isn’t too bad although could be a bit cheaper. Good quality and a reliable name. This of great use. 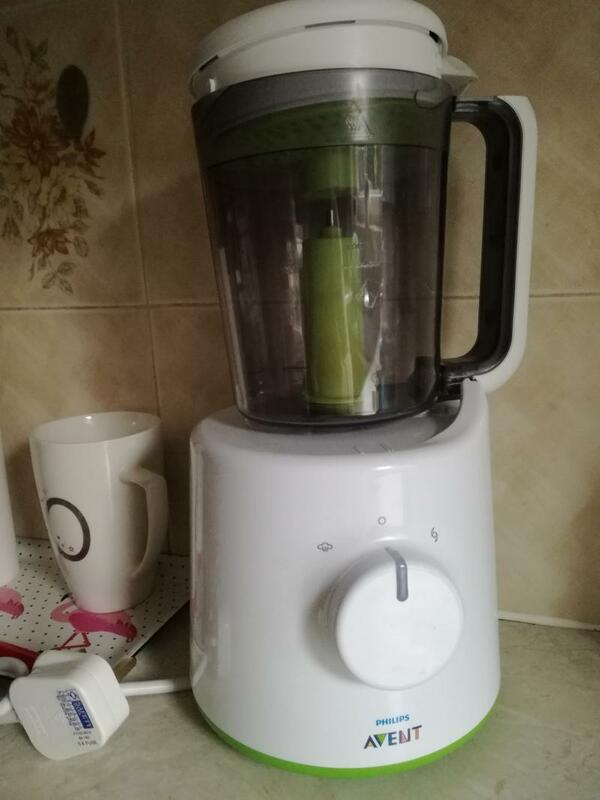 Blend the food really well. My husband does his creamy soup on it. But the water tank... i wish there was a way to clean it. This is a must have if your at the weaning stage especially to keep an eye on what goes into your child's food..get all the veg and good stuff in. Definitely recommended. 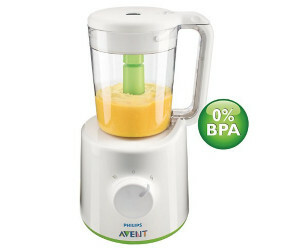 I have just started to wean my little one and this steamer/blender is extremely helpful. Easy to use and quick and avoids to many dishes to wash. I would recommend it. 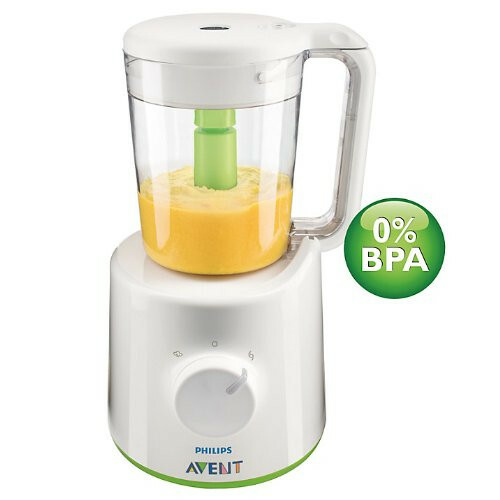 The Philips Avent Babyfood Steamer & Blender steams fruits, vegetables, fish and meat. It also blends your cooked ingredients to the consistency that most suits your baby's needs, While preserving vitamins, for healthy meals simply and quickly. 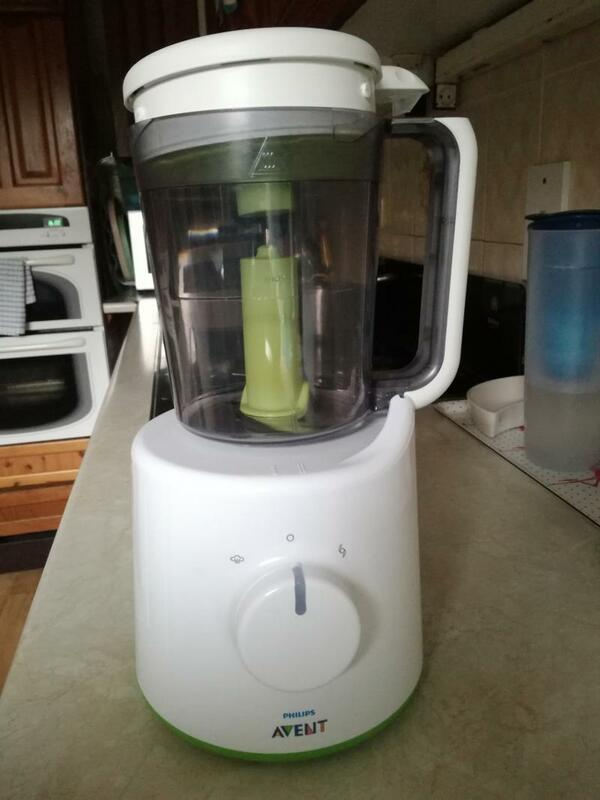 Easily prepare healthy and delicious homemade baby food with the Philips Avent Combined Steamer & Blender: begin by steaming fruit, vegetables, fish or meat and then lift and flip the jar over to blend it with no transfer of food required.